His early learning experiences may have fashioned his education focus. He was born in Massachusetts and enrolled in school at St. Anthony’s Terrace in Vevey, Switzerland, later learning geological engineering in France. Whitney traveled the world but the Vevey experience was apparently especially memorable: he had half his ashes buried in Sheridan Municipal Cemetery and the other half in an urn at St. Martin’s Church at St. Anthony’s. He died in 1917 and provided Whitney Foundation be established from his estate 10 years later with the singular mission to benefit youth. Directors are not paid, per his direction. He also instructed establishment of an agricultural college in or near Sheridan. One hundred and one years and over $100 million expended per his instruction, the foundation’s purpose has not faded. Whitney Benefits is this year’s Research/Outreach Partner Award recipient for its collaborative efforts to create and strengthen agricultural paths for students seeking advanced education. In 2007, a $1.25-million gift to Sheridan College enabled the University of Wyoming to strengthen the college’s agricultural curriculum for an enhanced degree program. In 2016, the foundation made a $750,000 endowment to Sheridan College to fund the Edward E. Whitney Agricultural Instructor position, filled by Assistant Professor Sadanand Dhekney in the Department of Plant Sciences in the College of Agriculture and Natural Resources at UW. In 2017, Whitney Benefits pledged $1.475 million to Sheridan College for agricultural opportunities to continue funding the instructor position and an agriculture business instructor and create a new rangeland management instructor position, and a new seasonal farm assistant to support student and faculty member laboratory work. Whitney Benefits offered a 50-year “free” lease to UW for the Adams Ranch immediately south of Sheridan College. The ranch has old water rights plus rights to stored water in the Park Reservoir in the Big Horn Mountains. Whitney Benefits vice president Roy Garber says that, in close cooperation, Sheridan College and the University of Wyoming provide educational experiences and hands-on training to area college and high school students. “Whitneys’ goal is to increase collaborative agricultural educational and research opportunities between Sheridan College and UW students,” Garber says. The long-term goal is to increase various four-year bachelor’s degrees and experimental agricultural experiences for students. “We believe Mr. Whitney would be quite pleased to see these educational opportunities for both local, and the state’s, youths,” Garber says. The foundation’s agricultural efforts are only one facet of Whitney Benefits’ mission. 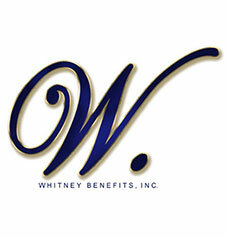 More information is at www.whitneybenefits.com.